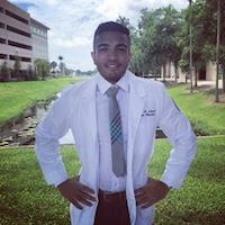 I'm Abdul, a 24 year old medical student at NSU with a true passion for mathematics and science. I have been tutoring for five years now and have had great success with my students, which ranged from high school to college level students. I began tutoring by helping other students in my high school classes, such as Calculus and Chemistry. I also worked as an adjunct instructor at FIU for chemistry lab courses for 2 years, in addition to assisting in chemistry lecture classes by proctoring exams and tutoring on campus. I tutor various high school students, and college level students attending schools such as UM, FIU, Miami-dade, and Gulliver among many others. I have also been accepted into medical school and will be starting classed in 2016. Being a recent graduate from Florida International University I majored in Chemistry and Physics. Therefore, I have taken many extensive chemistry, biology, math, and physics classes. I did exceptionally well in my courses, which translated to helping fellow classmates understand the coursework and improve their exam scores as well. It was during these courses that I tutored one on one and a group of students as well, for classes such as Organic Chemistry. I usually focus on science and math subjects because they are my specialty, but I can and am willing to help students who need improvement in writing and reading. I recognize that not everyone learns at the same pace or by the same style. I have a passion for helping students improve in math and science courses because I believe they can be applied to everything in life. As a Chemistry major and a tutor, I have studied Algebra in high school and college, then used it in various classes such as Physics, Statistics, and Calculus. I have received A's while taking the class as a student, and have then taught this course as a tutor. I have tutored this class for college and in the high school level in the honors and non-honors level. As a Chemistry major and a tutor, I have studied Calculus in high school and college, then used it in various classes such as Physics. I have received A's while taking the class as a student, and have then taught this course as a tutor. I have tutored this class for college and in the high school level in the AP, IB, and honors levels. As a Chemistry major, Pre-med student, and a tutor, I have studied Inorganic chemistry for 5 years. I have received A's while taking the class as a student, and have then taught this course as a T.A. at Florida International University. I have also tutored this class in the high school level in A.P., I.B., and honors level. I now teach chemistry labs at Florida International University as well as tutoring on campus for chemistry. As a Chemistry major, Pre-med student, and a tutor, I have studied Physics for 3 years. I have received A's while taking the class as a student, and have then taught this course as a T.A. at Florida International University. I have also tutored this class in the high school level in A.P., I.B., and honors level. As a Chemistry major and a tutor, I have studied Calculus in high school and college, then used it in various classes such as Physics and Toxicology. I have received A's while taking the class as a student, and have then taught this course as a tutor. I have tutored this class for college and in the high school level in the honors and non-honors level. I took genetics in sophomore year of my college education (1.5 years ago). I relearned everything for the MCAT and I am relearning much of the information again in biochemistry, including DNA synthesis, RNA synthsis, Protein function. I also know the Hardy-Weinberg Equation: p2 + 2pq + q2 = 1, how to use it, I know population Genetics (allele frequencies, inheritance patters, testcrosses, etc. ).